Have questions about your home renovation and maintenance issues? Come and visit the Home Clinic at MF3, jointly brought to you by Kaodim. Our house specialists are ready to meet you and provide the free consultation and advices to your issues on Electrical & Air-conditioning, Plumbing & Water Leaking, Paint & Wall Maintenance, Roofing & Ceiling and Aluminium Work. 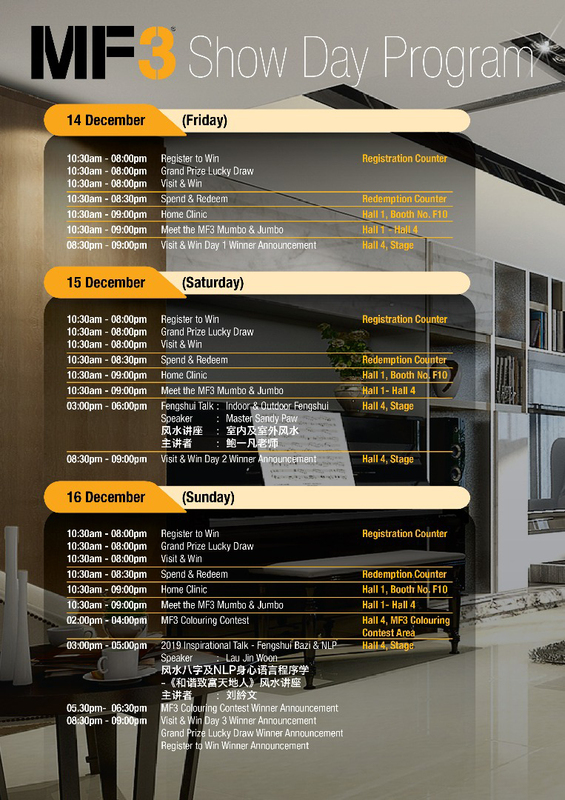 Do bring along your photos or floor plan for a better ‘diagnosis’. Enjoy RM5 off ride on Grab by using MF3’s promo code – MF32018 you’re your journey to MF3 at KL Convention Centre or leaving KL Convention Centre after a great shopping at MF3 from 14 – 16 Dec 2018.